I am passionate about color, art, and design. 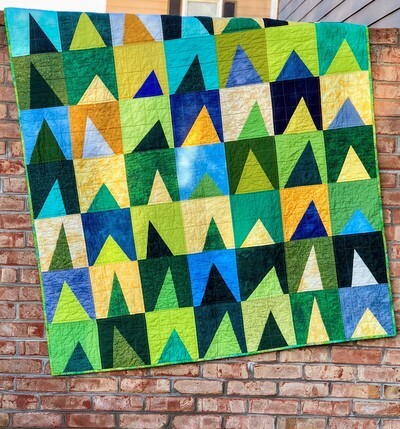 I frequently use geometric shapes in my quilts and pair these designs with bold solids & graphic prints to create beautiful, functional quilts. I also have a fondness for Modern Traditionalism. "What is Modern Traditionalism?!" you ask? Simply put, it means I like to take traditional quilt blocks and use them in unexpected ways by playing with size, layout, and color. 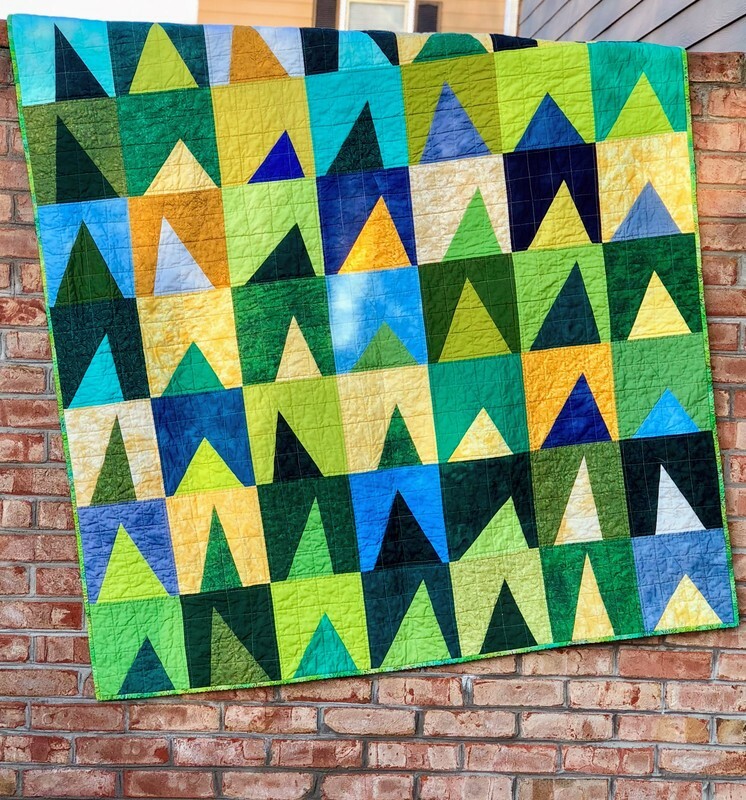 My quilts are all about the color. I am a firm believer that there are no ugly colors, just ugly color combinations! All of my quilts are created by me on my domestic sewing machine; many of them with free-hand, linear quilting. 'Freehand' means I refrain from using guides, rulers, or templates in most instances. 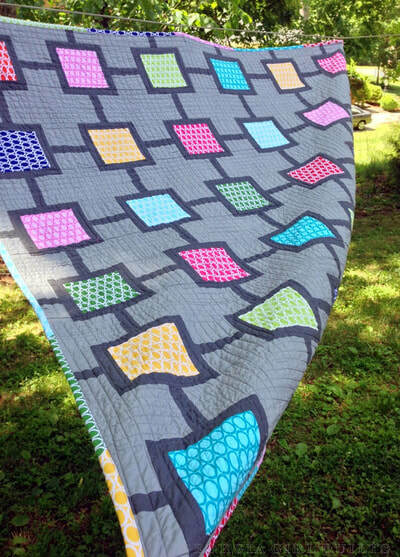 This is a design choice that lends to the handcrafted, unique look of each quilt. In addition to quilting, I do a bit of knitting and cross stitching. Over the coming months, you will start to see more of those projects on this site. What else... I am the Education Coordinator of the Knoxville Modern Quilt Guild (@knoxmqg on Instagram). Originally from Virginia, I have also lived in Georgia, Iowa, and North Carolina. I currently reside in the Knoxville, Tennessee area with my husband Doug and the newest addition to our family, a chocolate lab puppy named Brody. We love to travel and spend time with friends and family. 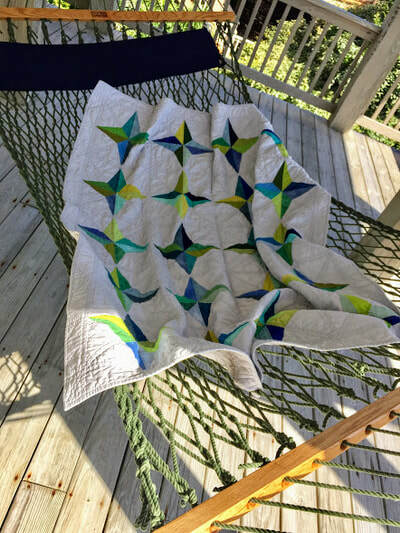 When I'm not quilting, you can probably find me with my nose buried in a good book, watching a movie, or enjoying good food with great people. I am a fan of the Oxford comma, small-batch bourbon, and long walks - preferably in the mountains or on the beach. Want to learn more? Check out my YouTube channel, blog and gallery.​ You can also follow me on Instagram. Have a question? Contact me.